SEOUL, July 10 (Korea Bizwire) – In the run-up to Chobok, a day some South Koreans celebrate by eating dog meat, animal rights activists took to the streets of Seoul over the weekend to protest against the consumption of dog soup during supposedly one of the hottest days of the year in the country, while proponents of the controversial food called for the legalization of dog meat consumption last week. 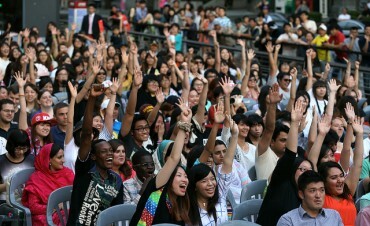 Over 30 animal rights groups including CARE and the Korean Animal Welfare Association participated in the STOP IT 2017 anti-dog meat protest, which took place at Seoul Plaza on Sunday, calling for an end to the long-lived association between bosintang, a dog meat soup, and Chobok, the first day of the three “dog days” (no pun intended) of summer in South Korea, which some celebrate by eating the controversial dog meat dish. Some 100 protestors marched down the streets near Seoul Plaza and neighboring areas holding signs condemning dog meat consumption, alongside a marching band wearing animal costumes in an effort to bolster their message and raise awareness of issues of animal cruelty surrounding the consumption of what many countries deem as man’s best friend. 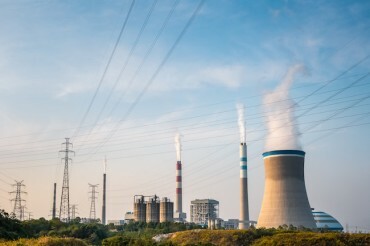 Highly placed government officials, including members of the Democratic Party of Korea as well as members of the Korean Veterinary Medical Association, also took part to lend support to the cause. Prior to the STOP IT 2017 protest, another anti-dog meat march was held in the Insadong area the previous day. 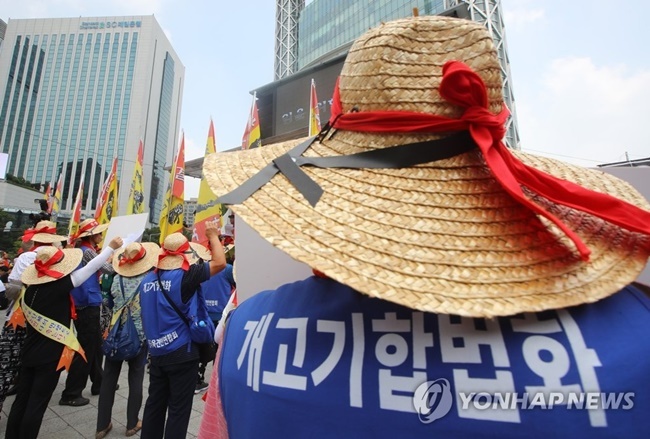 Protestors on Saturday chanted the slogan ‘we oppose dog meat’ as they marched down the bustling streets in the heart of the South Korean capital. Though the growing calls over the weekend to replace dog meat with either fruits and drinks to celebrate Chobok received significant media coverage and resonated with the public, the debate over the issue of dog meat consumption is far from over. 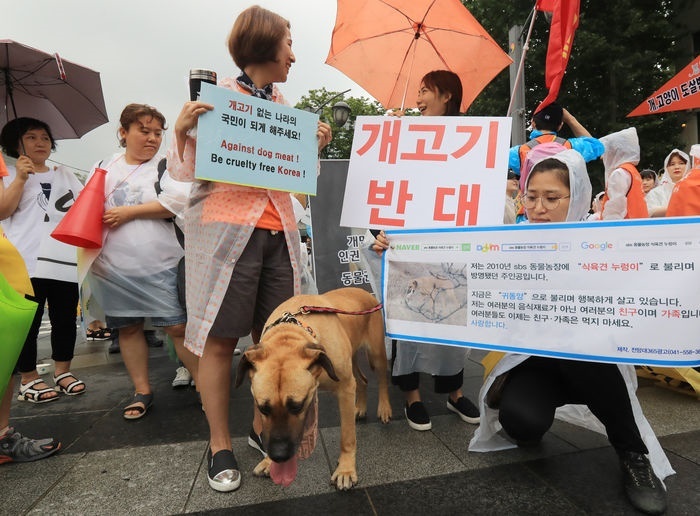 It was only last Thursday that owners of dog meat farms gathered in the center of Seoul to call for the legalization of eating and cooking dog meat, as members of dog meat advocacy groups argued dogs for pet ownership and dogs for food must be differentiated. The proponents of dog meat also criticized animal rights groups for wasting taxpayer money by taking care of abandoned dogs while turning a blind eye to other animals. “As it’s a matter of life or death for dog meat business owners, instead of banning the meat immediately, we must discuss the issue step by step. 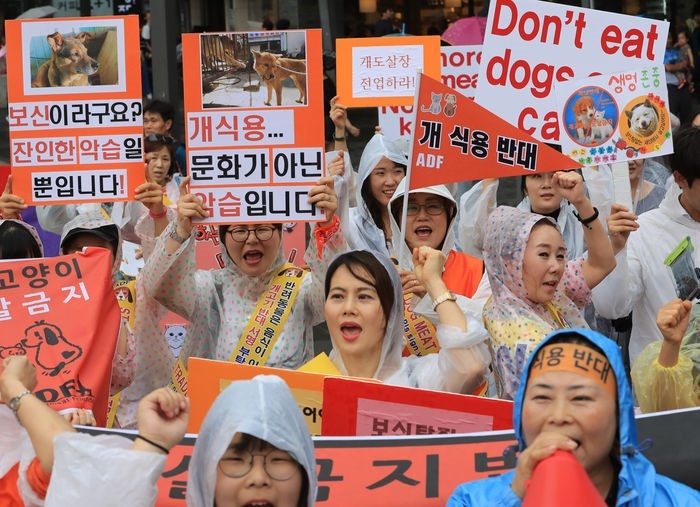 Though proponents of the issue typically argue eating dog meat is part of our culture, culture changes and society must be able to accept those cultural changes,” Jo Hee-gyung, the head of the Korean Animal welfare Association said.